Xbox Elite Wireless Controller is The World's Most Advanced Controller! Get pro-level precision, an arsenal of swappable components, Hair Trigger Locks, and limitless customization with an easy-to-use app. Achieve greater control with interchangeable paddles and rubberized diamond grip. 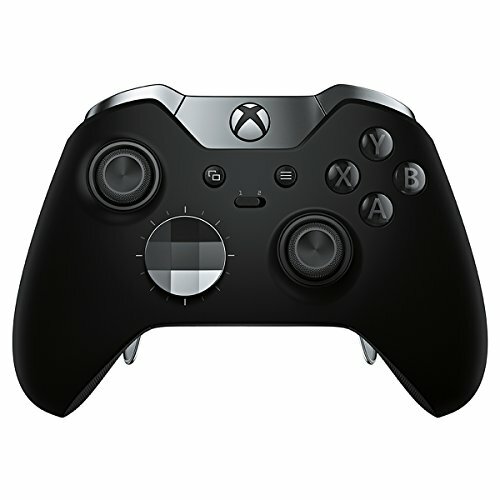 This product includes: An Xbox Elite Wireless Controller, a carrying case, a set of 4 paddles, a set of 6 thumbsticks, a set of 2 D-pads: faceted and standard, a USB cable, AA batteries and a quick set up guide and product manual.